The 4 x 6" Graduated Apricot 2 Filter from Hitech allows you to add color or enhance the contrast of your image. This filter is made to the highest technical standards that deliver a filter that can be used with confidence. Tolerances are manufactured to such a high degree that similar filters can be exchanged from day to day without any trace of difference in the color. Hitech filters are 1.5 mm thick and do not bend like traditional resin filters. This filter is available in a hard or soft edge variety. Hard edges contain a solid line between transition areas while a soft edge gently blends from top to bottom. It should be noted that many additional effects can be created by using two graduated filters opposed to each other, i.e. one used upside down from the other. The Graduated Apricot 2 filter is a pale orange filter which gives a warmer effect than the grade 1 version of this filter. The secret to Hitech's consistency in filter design lies in its unique "Absorbing Cell Technology" (A.C.T. 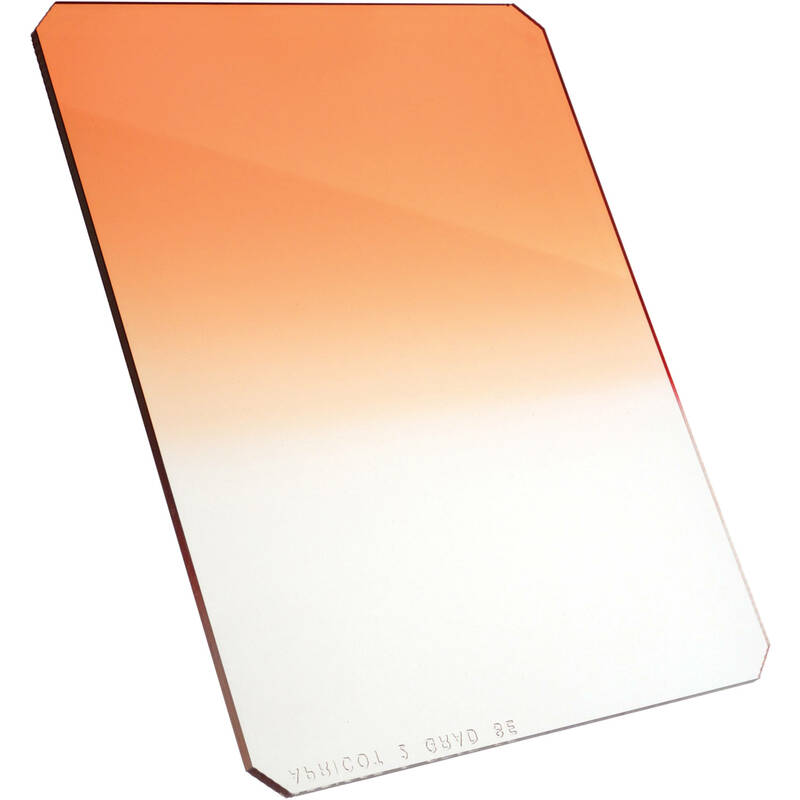 ); This unique process allows color correct dyes to be applied to optically pure, wafer thin absorbing cells and offers a controllability that ensures the smoothest grad lines and consistent color across the whole filter surface. Hitech filters are made by Formatt, a company with three generations of professional filter-making experience produces every filter to the highest technical standards. The finest materials, together with state of-the-art production technology have resulted in a standard of optical excellence unmatched anywhere else.